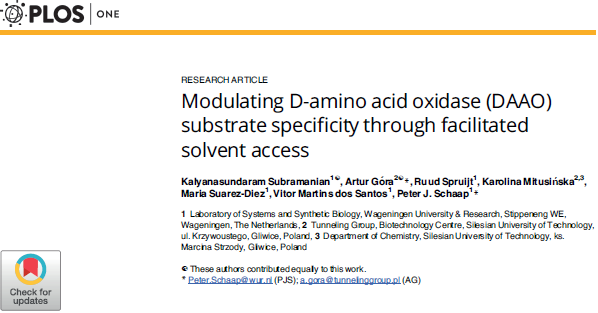 Our work concerning modification of the D-amino acids oxidase was published recently in PLOS ONE. Research were done in co-operation with Wageningen University & Research in Netherlands. More information you can find on our PUBLICATION page or on PLOS ONE page.